When you implement good UX, you can stand out and helps users to easily recognize your brand. Differentiating your brand is vital especially since customer experience will be more important than product or price by the year 2020. Great UX is made up of elements that help you build trust among your users who can expect that your site work and delivers what they need. Adaptability. You should incorporate responsive design so that your site functions properly regardless of the device your audience uses. Design. Attention-grabbing design is essential for keeping your audience engaged. Streamline your design so it's aesthetically-pleasing rather than distracting. Navigation. Great UX facilitates site navigation that helps users easily find what they are looking for rather than having to click multiple links or search endlessly. Usability. Your site's structure should be catered to your user's needs long before they even know they need something. Value. Your website design should clearly communicate the value of the service of product. If you want your users coming back for more, then consider implementing great UX strategies. Great UX can have a positive impact on customer loyalty. Even making minor UX improvements can lead to an enhanced customer experience. 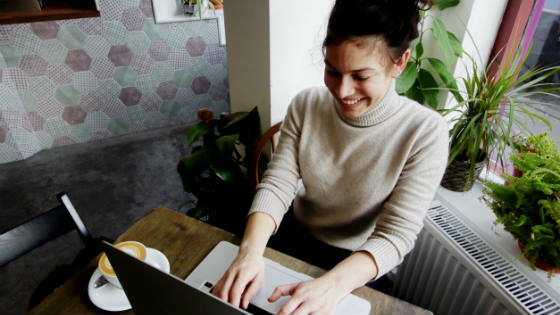 When you create a site that's user-centric, reliable, and providing value for your audience, you help foster trust and reliability to keep your audience returning for more. IT and design budgets are often constrained. But these limitations can easily be avoided when implementing good UX strategies. In fact, correcting poor UX problems from the start can translate to a return of $10 to $100 for every dollar you invested in UX. If you're looking for a product on the site but can't find it, chances are you're not going to stick around very long before considering going to another website to find what you need. This is the result of poor UX design. If it's too challenging to navigate a site, then your audience will flock to the competition to find what they need. The same is true for poorly designed apps that are difficult to use. But with good UX, you can improve bounce rates and keep users on your site or app longer. Thus, it's key to have UX that helps you reduce bounce rates and keep your users on the site longer. To make sales happen online or via your app, you have to have your UX down pat. That's because if your site is hard for users to navigate or find what they want, it reduces their chances of going down the sales funnel from browsing to being a paying customer. But with good UX, you can improve your conversion rates, and when you improve your conversion rates, you can enhance your revenue and profits. From brand awareness to cultivating customer loyalty, good UX matters. By implementing functional UX, you can facilitate trust and reliability among your users and improve your bottom-line. Helps you understand the redesign process. Establishes vital information and plan your strategy. Provides free resources and tools to optimize your website. Allows you to achieve your website goals. Your website is a powerful marketing tool. Be confident in its design and functionality. 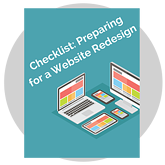 Download your free copy of the Website Redesign Checklist and get started.